2014 saw an increasing number of people buying online. With ever-growing competition, it’s ever more important for retailers to understand what their customers want and how to best serve them. Let’s look at five main ways that shoppers will be dictating what they want from ecommerce retailers in 2015 and how you can track these trends. Not only are shoppers making more purchases on their laptops and PCs but they’re also increasingly using their mobile devices. Retailers saw mobile transactions grow 40% at the end of the last year and there are no signs of slow down. 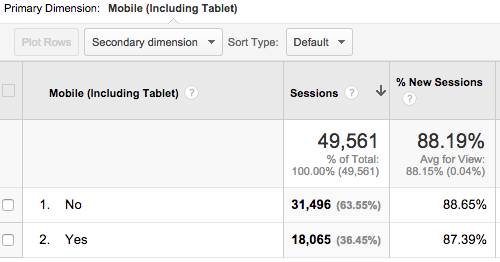 If you’re sceptical about whether optimising for tablets and smartphones is necessary for your business, add a custom Google Analytics report by Lens10 that will quickly tell you if you should go mobile. It will also show you which devices are being used to access your site so you’ll know where to focus your efforts. In 2014 we saw some of the biggest companies jump on the click & collect bandwagon to allow customers to choose when and where they want to pick up their purchases. Waitrose, Ocado, Amazon partnered with TfL to provide click & collect at tube stations. 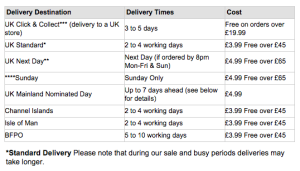 Argos and eBay teamed up to offer the collection of parcels to eBay buyers from Argos stores nationwide. Online buyers want to enjoy a greater freedom when it comes to their shopping so we expect to see more companies join up to expand their offering. With 76% of digital shoppers predicted to use click & collect service by 2017, many more companies will begin offering the service. It’s time to offer customers the option to pick up purchases on their daily commute. It’s annoying to go through the online buying process only to be faced with limited and costly delivery options at the checkout page. Customers want more flexibility with how and when their purchase will be delivered and if your competitor offers those better options, then why aren’t you? 50% of online shoppers have abandoned a purchase online due to inconvenient delivery options. This number is staggering and should act as a warning to review your delivery cost, times and the accuracy of information you provide on the site. As shoppers get snowed under hundreds of emails, their individual experiences have become more important. Whilst a large majority of the businesses, 94%, understand that personalisation is crucial to their strategy it’s surprising that not that many are using the tactics. 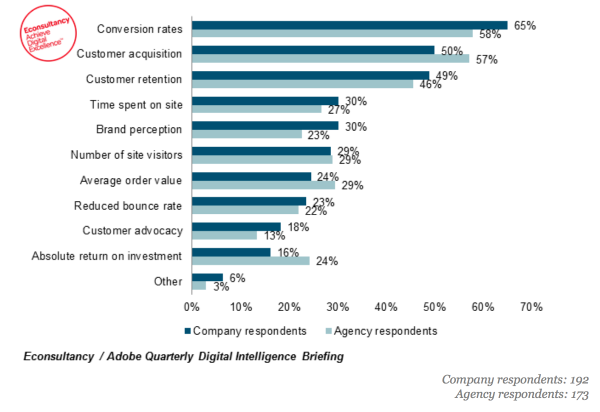 Econsultancy and Adobe produced a survey that reported 14% rise in sales, which makes a strong case for making marketing more personal. Track your customers’ location, local weather, viewed and bought items, and start testing with personalised marketing campaigns to see what works for your sales. Be wary of repeating the mistakes of retailers like Currys, Argos, Tesco and PC World, whose websites couldn’t handle the increased number of visitors on Black Friday. Many customers remained stuck on frustrating holding pages instead of shopping. 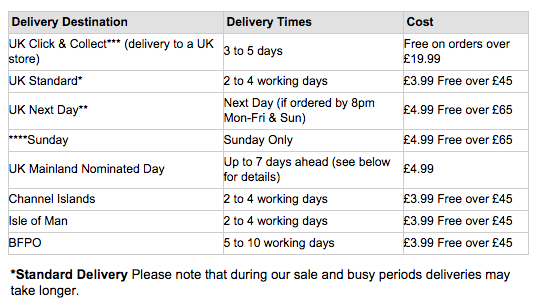 Check out some useful tips from Econsultancy for how to prepare for Black Friday in 2015. By setting up ecommerce tracking you can understand what shoppers are doing on your website and make informed decisions on further updates to product pages. In 2015 retailers’ success will depend on their ability to meet customers’ expectations and we hope the list above has helped your preparations. If there are any other trends you see growing in 2015, do share them in the comments. Littledata's own Edward Upton is featured on a new episode of the Ecommerce Fastlane Shopify podcast! Check it out here:Episode 33: Get The Complete Picture Of Your Shopify Store's Performance With Deeper Marketing Insights .The eCommerce Fastlane podcast is the best in the business. It caters to ecommerce strategies, success stories, sales, traffic, and growth for Shopify Plus stores. In the new episode Ed discusses the Littledata Shopify reporting app and how you can make smarter business decisions for your Shopify store. As podcast host Steve Hutt puts it "It closes the loop on all of your data including your Shopify store orders, marketing channels, and lifetime customer value." In other words, your Google Analytics will never be the same. Littledata is a Shopify App Partner that has created an analytics platform that takes Google Analytics and literally puts it on steroids. It closes the loop on all of your data including your Shopify store orders, marketing channels, and lifetime customer value. Littledata offers a free connection with Google Analytics to make sure people get accurate reporting, more powerful marketing insights, and a more complete picture of ecommerce performance. Shopify's basic integration with Google Analytics doesn't capture all of the ecommerce journey events and attribution that stores want to have. That's where Littledata comes in, to make sure that you can get a better grasp of the customer journey. [subscribe] Our Shopify Plus connection automatically tracks the sales and marketing data you need to scale a Shopify Plus store. Here's a comparison chart between our tracking and the default tracking in Shopify. On top of fixing your data collection we've launched the first Shopify flow connector for Google Analytics. The connector enables Shopify Plus stores to automate tracking with custom events in Google Analytics. If you're a subscription business, we integrate with ReCharge to give you an accurate data stream. This means no more headaches when it comes to recurring orders and first-time orders. Say goodbye to the days when transactions from Shopify don't match Google Analytics, and say hello to accuracy! Littledata is the smart solution and we offer a free Google Analytics connection, plus a 14-day free trial on all of our plans - it's the smart way to connect Shopify Plus with Google Analytics. Don't forget to leave a review after subscribing to the podcast on iTunes, Stitcher, Google Play or wherever else you like to listen! Many of Littledata's subscription customers come to us with a similar problem: how to calculate return on advertising spend, considering the varying customer lifetime value (CLV) of subscription signups. Calculating marketing ROI for subscription ecommerce is a big problem with a number of potential solutions, but even the initial problem is often misunderstood. In this post I break down what the problem is, and walk through two proven solutions for getting consistent, reliable CLV reporting in Google Analytics. What is customer lifetime value? I work with all kinds of subscription ecommerce businesses: beauty boxes, nutritional supplements, training courses and even sunglasses-by-the-month. All of them want to optimise customer acquisition costs. The common factor is they are all willing to pay way MORE than the value of the customers' first subscription payment... because they expect the customer to subscribe for many months. But for how many months exactly? That's the big question. 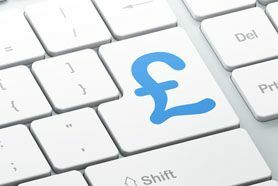 Paying for a marketing campaign which bring trial customers who cancel after one payment - or worse, before the first payment - is very different from paying to attract sticky subscribers. A marketing director of a subscription business should be willing to pay WAY more to attract customers than stay 12 months than customers who only stay one month. 12 times more, to be precise. So how do we measure the different contribution of marketing campaigns to lifetime customer value? In Google Analytics you may be using ecommerce tracking to measure the first order value, but this misses the crucial detail of how long those shoppers will remain subscribers. With lifetime customer value segments we can make more efficient use of media, tailor adverts to different segments, find new customers with lookalike audiences and target loyalty campaigns. There are two ways for a marketing manager to see this data in Google Analytics: one is a more difficult, manual solution; the other is an easier, automated solution that ties recurring payments back to the original campaigns. A manual solution: segment orders and assign a lifetime value to each channel It's possible to see the required data in GA by manually segmenting orders and assigning a lifetime value to each channel. For this solution you'll need to join together: (a) the source of a sample of first orders from more than a year ago, by customer number or transaction ID and (b) the CLV of these customers The accuracy of the data set for A is limited by how your Google Analytics is set up: if your ecommerce marketing attribution is not accurate (e.g. using Shopify's out-the-box GA scripts) then any analysis is flawed. You can get B from your subscription billing solution, exporting a list of customer payments (and anonymising the name or email before you share the file internally). To link B to A, you'll need either to have the customer number or transaction ID of the first payment (if this is stored in Google Analytics). [subscribe] Then you can join the two data sets in Excel (using VLOOKUP or similar function), and average out the lifetime value by channel. Even though it's only a sample, if you have more than 100 customers in each major channel it should give you enough data to extrapolate from. Now you've got that CLV by channel, and assuming that is steady over time, you could import that back into Google Analytics by sending a custom event when a new customer subscribes with the 'event value' set as the lifetime value. The caveat is that CLV by channel will likely change over time, so you'll need to repeat the analysis every month. If you're looking to get away from manual solutions and excessive spreadsheets, read on... A better solution: tie recurring payments back to the original campaign(s) What if you could import the recurring payments into Google Analytics directly, as they are paid, so the CLV is constantly updated and can be segmented by campaign, country, device or any other standard GA dimension? This is what our Google Analytics connection for ReCharge does. Available for any store using Shopify as their ecommerce platform and ReCharge for recurring billing, the smart connection (integration) ties every recurring payment back to the campaigns in GA. Here's how the connector works The only drawback is that you'll need to wait a few months for enough customer purchase history (which feeds into CLV) to be gathered. We think it's worth the wait, as you then have accurate data going forward without needing to do any manual imports or exports. Then, if you also import your campaign costs automatically, you can do the Return on Investment (ROI) calculations directly in Google Analytics, using GA's new ROI Analysis report (under Conversions > Attribution), or in your favourite reporting tool. Do you have a unique way of tracking your marketing to maximise CLV? 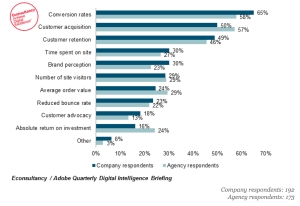 Are there other metrics you think are more important for subscription retailers? Littledata's connections are growing. We'll be launching integrations for other payment solutions later this year, so let us know if there's a particular one you'd like to see next.